The traditional town of Uji (宇治) is famous for producing some of the best quality green tea in Japan. As if that wasn’t enough, it’s also home to Byodo-in Temple, whose stunning Phoenix Hall graces the back of the ¥10 coin. Uji’s quaint charm and close proximity to Kyoto make it an ideal location for a day trip from the city! Japan is well known worldwide for its superb green tea. From delicate sencha to powdered matcha and high grade gyokuro, the leaves are prized for both their taste and health-giving properties. And here in Uji is where the highest quality green tea in the country is grown, making it a must-visit location for all ocha lovers. 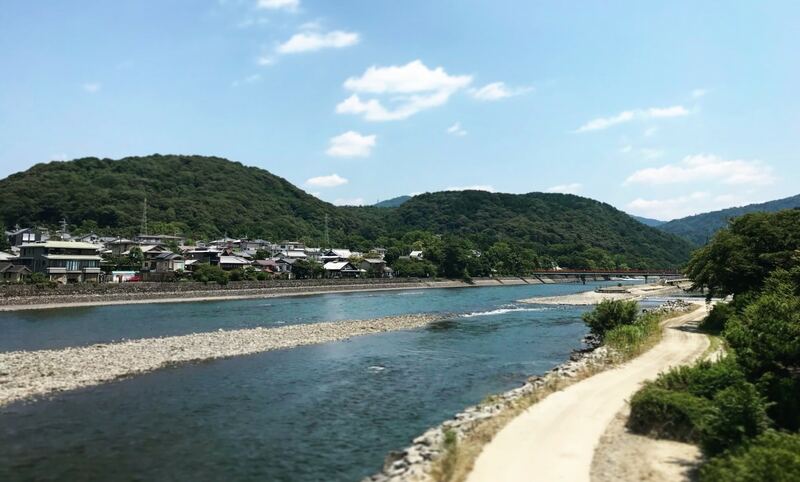 The best place to learn more about Uji’s tea is in one of the many traditional tea houses dotted along the banks of the Uji River that flows through the town. The tea masters will talk you through the different production processes for the various types of tea, and show you how to make the perfect cup. Afterward head to Omotesando (in Uji, of course, not back in Tokyo), a narrow lane bustling with stores where you can stock up on a wide variety of local teas to take home with you. You’ll also find numerous eateries serving all sorts of green tea-infused food, from soba noodles to ice cream and traditional Japanese sweets like warabimochi (a jelly-like confection made from bracken starch) and dango (sweet rice dumplings served on a skewer). It’s the perfect place to grab some refreshment after all that tea shopping! Uji isn't all about tea, however. It’s also home to one of the most recognizable temples in Japan: Byodo-in (平等院). Built back to the Heian Period (794-1185), its intricate Phoenix Hall is featured on the back of Japan’s ¥10 coin. Although its official name is Amida-do Hall, it became known as Phoenix Hall because of the two awesome golden phoenix statues that adorn its roof. The delicate wooden building stands in the middle of a peaceful pond, and is said to resemble a bird spreading its wings. It’s possible to take a short guided tour of Phoenix Hall for an additional ¥300. Although the guides only speak Japanese ,there are English-language pamphlets available. You'll also find a vast underground museum filled with temple artifacts and Buddhist artwork—and of course, since it's Uji—a tea house. If you have time, there are a number of other sites worth visiting in the town. 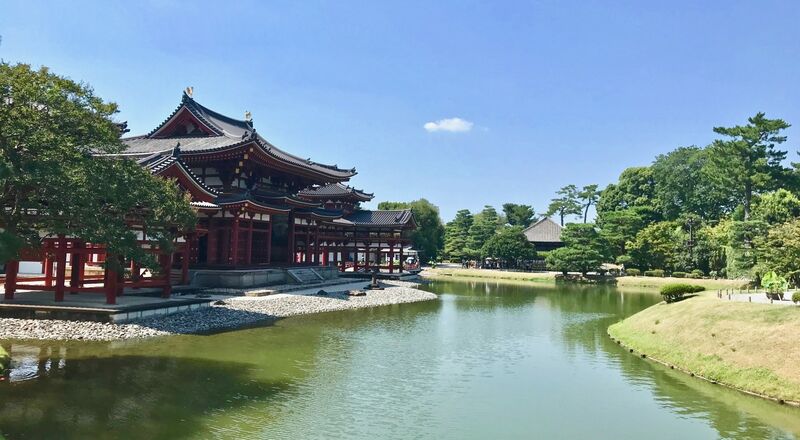 These include Manpuku-ji Temple (萬福寺), which was built in a more Chinese style, Mimuroto-ji Temple (三室戸寺), famous for its beautiful gardens full of seasonal flowers and the ancient Uji (宇治神社) and Ujigami (宇治上神社) Shrines. Literary fans should also drop by the Tale of Genji Museum, where you can immerse yourself in the world of of Murasaki Shikibu’s classic novel—the final chapters of which are set right here in Uji! Direct trains run from Kyoto Station to Uji Station on the JR Nara Line. A one-way trip takes about 20 minutes and costs ¥240.